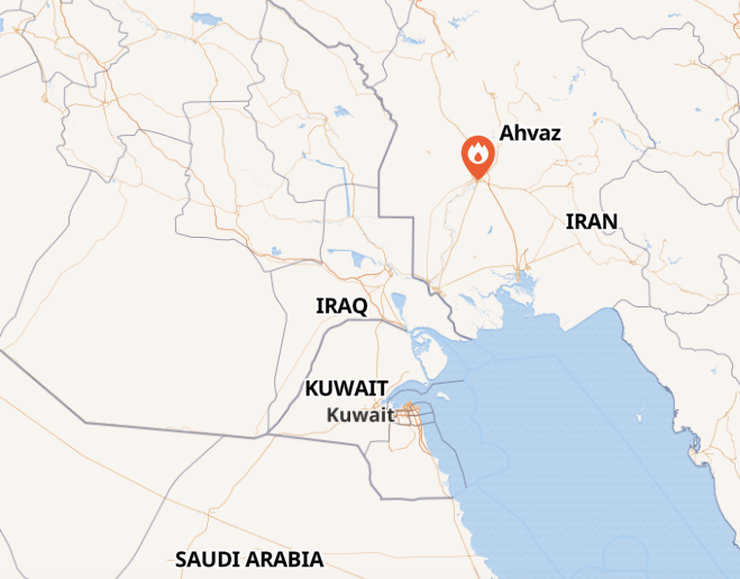 An attack on a military parade in Iran’s southwestern Ahvaz city has killed and wounded people, according to local reports. According to sources the attack targeted Islamic Revolutionary Guard corps members as they were marching in the city. Photos showed men in uniform wounded and a bloodied backpack. Some men were seen limping from the street where the parade had been ongoing. Video shows people being taken into an ambulance while the parade reviewing stand is evacuated in the aftermath of the shooting attack. The attack began in the morning soon after the parade started at 9:00 am. The parade was supposed to mark the start of the Iran-Iraq war in 1980. Ahvaz (Ahwaz) was a center of that conflict and the area is sensitive because opposition groups, including terrorist groups, have operated there in the past. “Four gunmen opened fire at the IRGC,” wrote one source online. 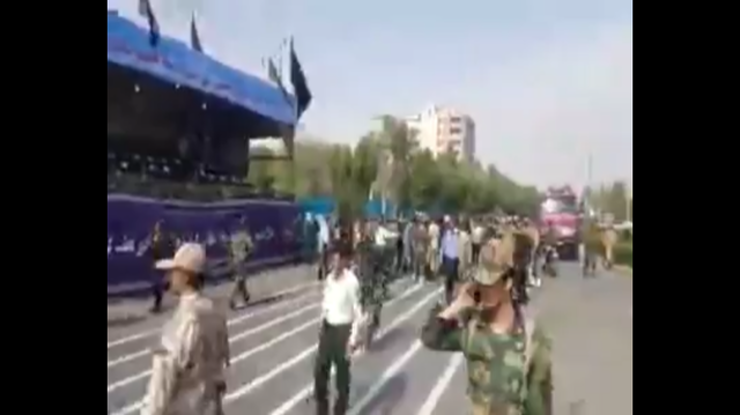 TV reports claimed the attack was carried out by “Takfiri terrorists.” This was one of several parades to mark the anniversary of the start of the conflict. It took place as Iranian President Hassan Rouhani was addressing a different event in Tehran. Images from the scene showed one of the alleged perpetrators wore a uniform similar to those in the parade. 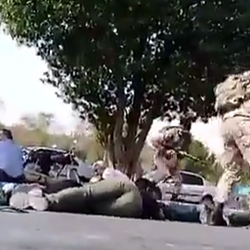 Another screenshot from people crouching as the attack unfolds shows that although many were armed they did not return fire. Some were in dress uniforms and others appear not to have had clips for their rifles. Even those that did, did not seem to confront the perpetrators amid civilians who were fleeing in shock. 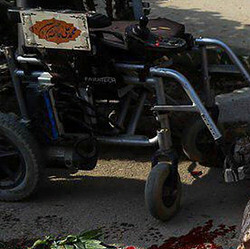 One man who appeared to be a veteran of the Iran-Iraq war, was seen killed next to his wheelchair. He had been holding a wreath as part of the ceremony and the wreath is scene splattered with blood next to his wheelchair. On Telegram a group called “Al-Ahvaz” released a claim of responsibility for the attack. There are a series of groups that oppose Iran’s regime in Ahvaz and which have different goals and methods. 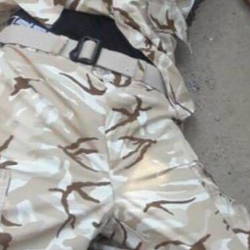 In October 2017 the Arab Struggle Movement of Khuzestan (Arab Struggle Movement for the Liberation of Ahwaz) accused Iran of assassinated Ahmad Mola in the Netherlands. This group (الاهواز – جنبش الاحوازیه که خود را جنبش ملی دموکراتیک الاحواز) has allegedly received support from different foreign countries, including from the Gulf. A spokesman for the Al-Ahwaz group called in to a Farsi TV station overseas and said that the attack was directed against the IRGC. He was asked about civilian casualties and said that the attack targeted the reviewing stand where “senior officials and IRGC members were standing.” According online accounts Yaqub al-Tostari, a spokesman for the Ahwazi group had claimed responsibility. A day before the attack a leader of Arab Liberation Movement of Al-Ahwaz had congratulated Saudi Arabia on its National Day. Al-Weeam News had reported the statement. 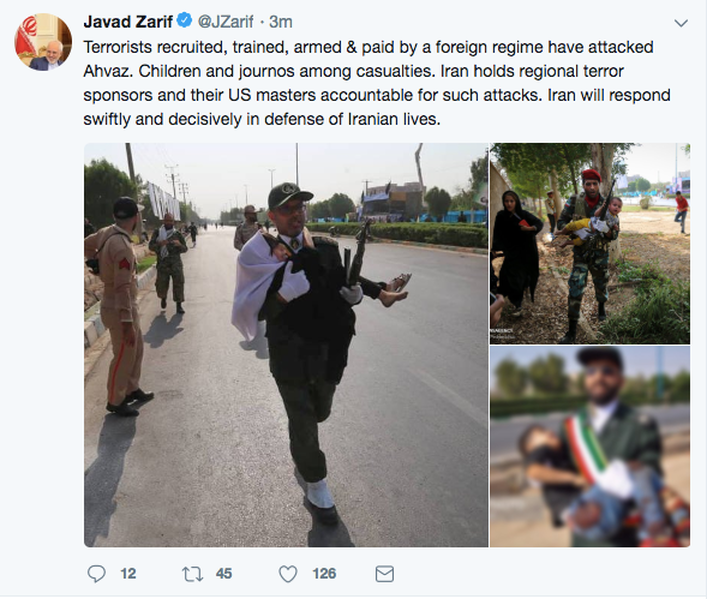 It also covered the subsequent attack and posted video of it, reporting that “the National Resistance of Al-Ahwaz targeted a military platform of the Iranian occupation army in Al-Ahwaz, killing at least 40 soldiers and injuring dozens.” The report also noted the claim that the attack had not targeted civilians. By just after 13:00 in the afternoon Tehran has already pointed fingers at support these groups receive from Saudi Arabia and accused the United States of a role, according to the official news agency IRNA. Press TV claimed “The attack comes after a US-backed campaign to stir up unrest in Iranian cities fell flat. The effort, known as the Hot Summer Project, sought to whip up public anger over water and electricity shortages in the face of a protracted drought.” Foreign Minister Javad Zarif said that Iran would respond. Photos posted online showed civilians fleeing and crouching in distress. Reports indicated that two of the assailants were killed and at least two more were being sought. Fereshteh Sadeqhi, a freelance journalist, wrote that seven IRGC members had been killed. By 15:00 in the afternoon the death toll had risen to 29 killed and 57 wounded, according to Fars News. Tehran was seeking to link the Ahwaz group to Saddam Hussein’s previous regime, claiming it had fought alongside the Ba’athists during the Iran-Iraq war. Tehran also continued to press the claim that the US and Saudi Arabia had supported the group behind the attack. 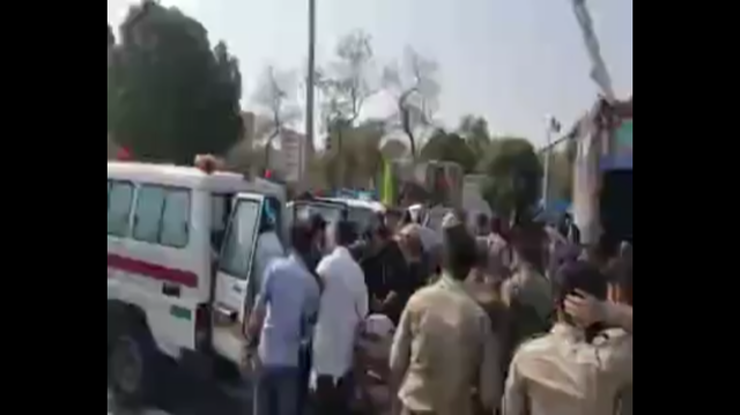 “Individuals disguised in the Islamic Revolution Guards Corps and Basij uniforms fired at officials and people from behind the stand, leaving a number of innocent people including women and children martyred or injured,” Governor of Khuzestan Province Gholamreza Shariati said, according to Press TV. The high death toll in the terror attack will make it one of the worst in Iran’s history in the last decades. In June 2017 ISIS carried out a terror attack in Tehran that killed 17 and wounded 43. There has been an insurgency in Baluchistan and in the Kurdish areas targeting the regime over the last decade. Kurdish groups particularly have increased their operations against the IRGC. Tehran retaliated in early September by firing seven ballistic missiles at opposition groups in Iraq. Questions will be asked about how the perpetrators infiltrated the parade in uniforms and who they targeted. Tehran wants to shift blame to the US and Saudi Arabia. With tensions in southern Iraq along the Iranian border and the economic problems in Iran, the regime will be concerned that this could be the beginning of a larger campaign.